One of my favorite vendors at the Hershey Meet is Paul Osika and his collection of vintage automobile race photos. 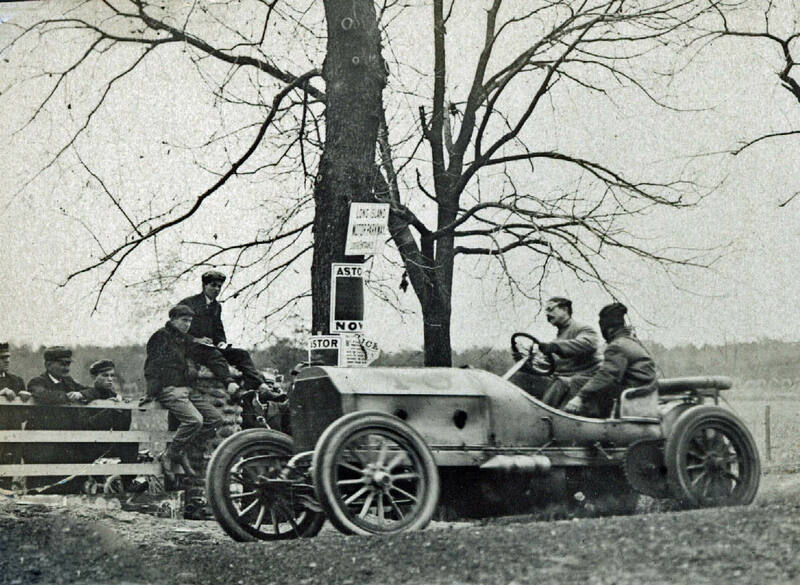 Paul asked for assistance to identify the year, car and location of this photo taken during an unknown Vanderbilt Cup Race. A close of the racer shows it was a 4-cylinder #18 car making a right-hand turn. 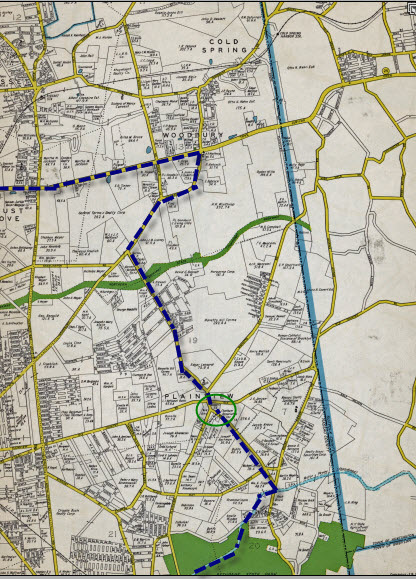 There were only four right turns on the 1908 course; Bethpage Road where it intersected with Plainview Road, Manetto Road and two turns in the hamlet of Jericho. 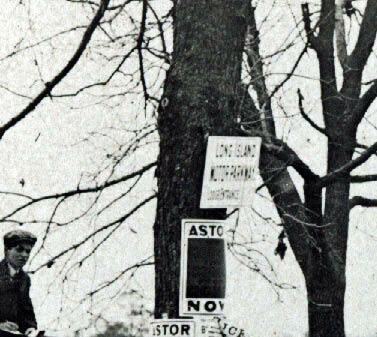 The CSI Team notes the sign on the tree above the hood of the racer. It read "Long Island Motor Parkway Lodge Entrance". 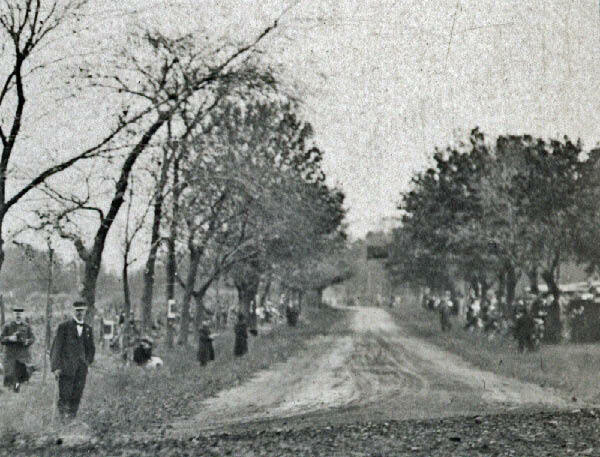 This confirms the photo captured a race held on the Vanderbilt Cup Race course from 1908 to 1910 which included the Motor Parkway. During this period, there were only three toll lodges built around the course; the Meadow Brook Lodge in Westbury, the Bethpage Lodge and the Massapequa Lodge. 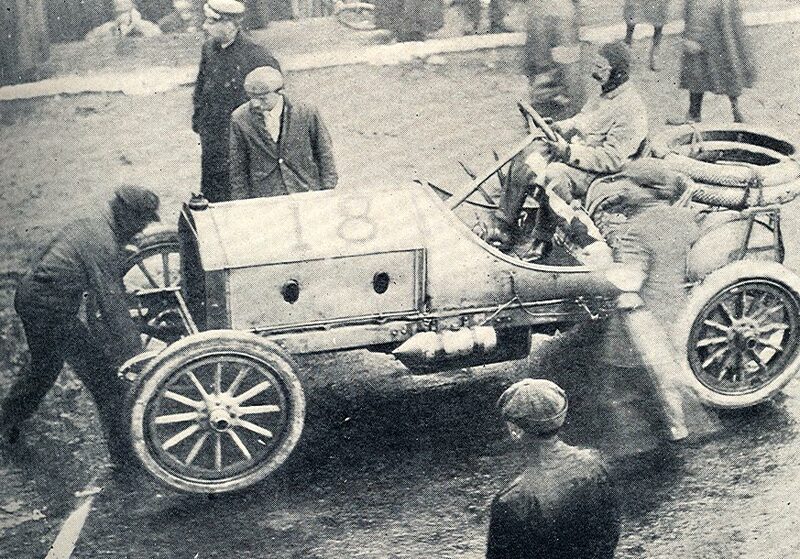 The two possible racers with #18 were the Mercedes driven by Foxhall Keene (1908) and the Alco driven by Harry Grant (1910). 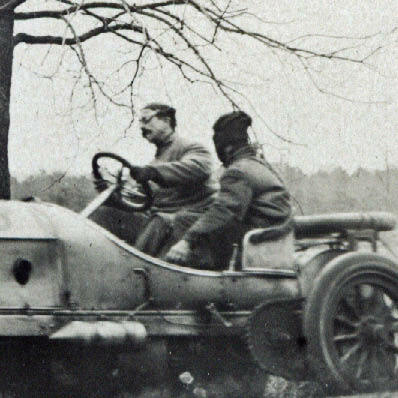 A close-up of the driver and mechanician shows the driver had a mustache. Finally, a close-up of the course indicates a tree-lined macadam road not the concrete pavement of the Long Island Motor Parkway. 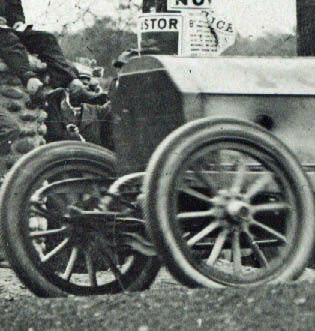 The racer in the photo was the #18 Mercedes driven in the 1908 Vanderbilt Cup Race. The car finished 11th of the 17 participating racers, finishing 4 of the 11 laps. The mustached driver was Long Islander Foxhall Keene. 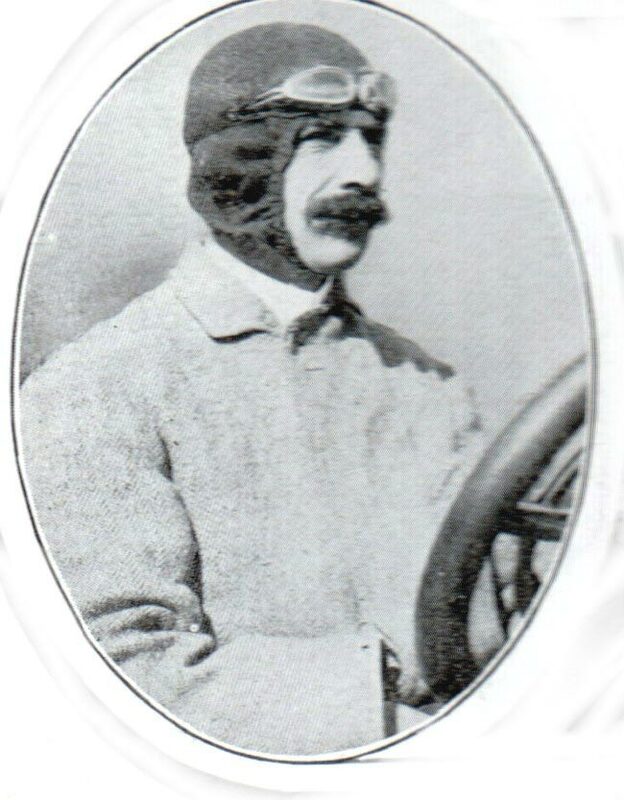 The hometown favorite and veteran of the 1905 Vanderbilt Cup Race was a millionaire sportsman and Wall Street broker. Reportedly, Chicken à la King (Keene) was named in his honor. Finally, location of the photo is the greatest challenge. Clearly, it was not taken on the Motor Parkway but close to one of the three 1908 lodge entrances. The best clue was the slight right turn taken by the racer. 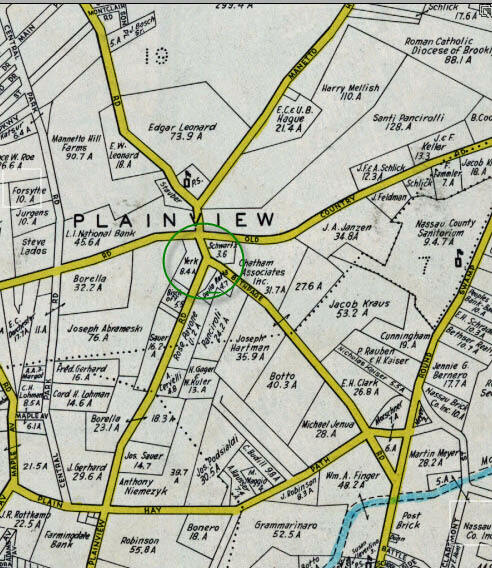 Accordingly, CSI's best guess was the photo was taken where Bethpage Road intersected with Plainview Road, located only 0.9 miles from the Bethpage Lodge entrance.